As the country prepares to mark the 50th anniversary of the assassination of President John F. Kennedy, there are numerous movies, documentaries and prime-time specials airing (click here for local listings) as well as newspaper and magazines around the world. (Writers from across the pond visited Newport and Hyannis as early as August to put together their pieces.) Newport will always be synonymous with the 35th President and First Lady, and while people tend to know the details of their wedding at St. Mary’s Church and reception at Hammersmith Farm, much less is known about their engagement. What we do know is that JFK, then a junior senator from Massachusetts, asked for her hand in marriage with a custom designed engagement ring by legendary Parisian jeweler Van Cleef & Arpels on June 24, 1953– just three and a half months before they would exchange vows. The ring featured a crossover design boasting a 2.84 carat emerald and a 2.88 carat diamond with baguette cut diamond accents. Since the couple spent much time in Newport as the Bouvier family summered here, I spoke to a Van Cleef & Arpels representative in Paris to learn more about where JFK bought the bauble. 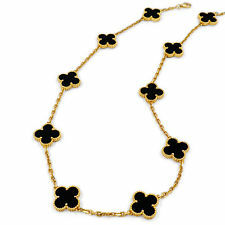 She confirmed that there was not a Van Cleef & Arpels in Boston or Newport at the time, and her best educated guess was that it was purchased on Fifth Avenue in New York City (the store is still there). 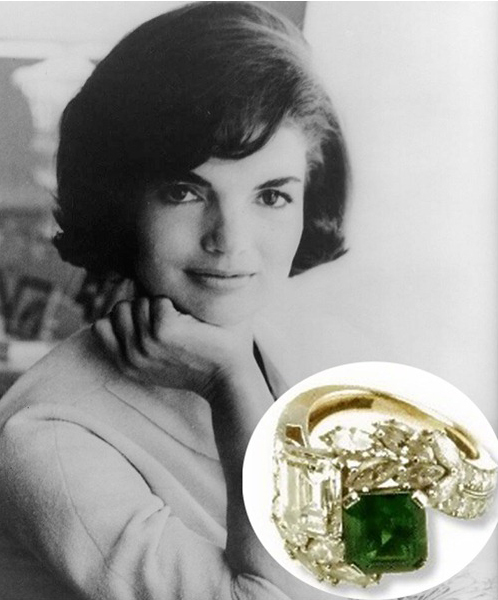 Later, Jackie had her engagement ring redesigned replacing the baguettes with marquis and round diamonds, but after JFK’s death, she had the ring jewelry reset in the original design JFK had chosen for her. Who doesn’t love getting the look for less? Visit Jason & Co. at 182 Thames Street and follow them on Facebook by clicking here. Entry filed under: Uncategorized. Tags: Blake Lively, Blake Lively jewelry, Bouvier Newport, Cameron Diaz, Cameron Diaz jewelry, Catherine Zeta Jones, Catherine Zeta Jones jewelry, Charlize Theron, Charlize Theron jewelry, Christina Hendricks, Christina Hendricks jewelry, Jackie o engagement, jackie o engagement ring, Jason & Co. Newport ri, jason carbonneau newport ri, jason.carbonneau jason & co., Jessica Alba, Jessica Alba jewelry, JFK engagement, Kennedy wedding Hammersmith farm, Kennedy wedding newport, kennedy wedding reception, kennedy wedding St. Mary's Church, Newport ri, Newport ri jewelry shops, newport ri shopping, Newport ri style, Princess Charlene of Monaco, Princess Charlene of Monaco jewelry, Reese Witherspoon, Reese Witherspoon jewelry, Van Cleef & Arpels, Van Cleef & Arpels alhambra, Van Cleef & Arpels alhambra look, Van Cleef & Arpels engagment ring, Van Cleef & Arpels jacqueline Bouvier ring, Van Cleef & Arpels Jacqueline Kennedy ring, where did the kennedy's get married. Snap, Crackle, Pop-up! Jack Wills in Newport Makes a Change…	Oui! Oui! Happy Beaujolais Nouveau Day! 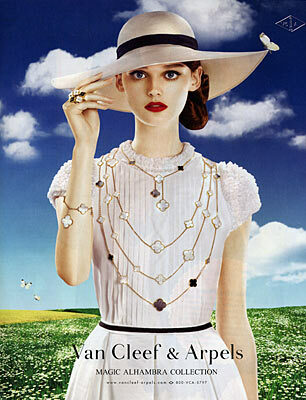 I LOVE van cleef & arpels style jewelry, but also lack the budget for the real thing. 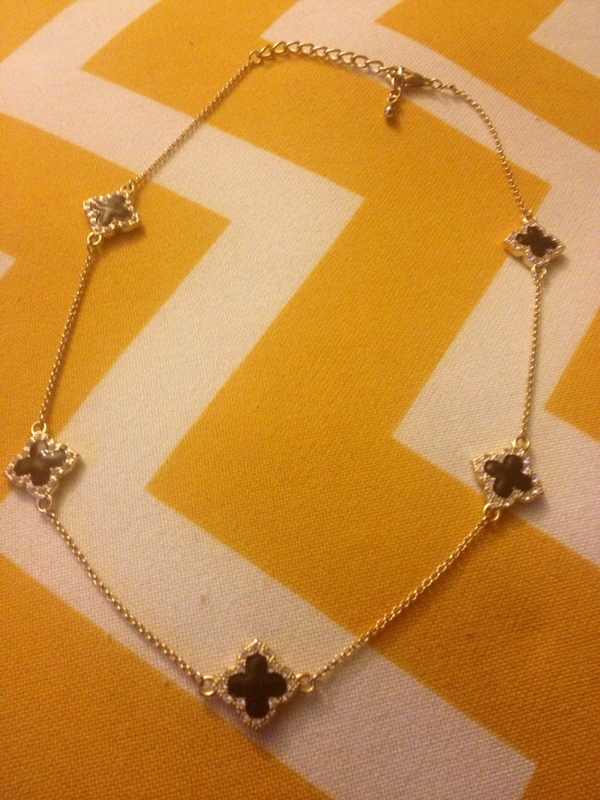 Thank you for sharing a beautiful inspired-by piece that fits more budgets. And I did now know that about Jackie’s engagement ring. Love me some Kennedy history!